I got into horror movies kind of late in the game. I really didn’t like being scared when I was a kid. As an adult, I became really good friends with a horror film fanatic, and that particular gap in my movie viewing experience got filled really quick. But there’s another category that’s adjacent and even crosses over with horror in some venn-diagram of oddity. When horror becomes cliche or the bizarre behavior of horror stock characters is examined, you find horror-comedy. It is a goddamn art form. Some are more on the horror side and some are more on the comedy side, but I think everyone would enjoy at least one film on this list. And really this is just the tip of the iceberg. There are so so many good movies in this category. I’m getting perhaps the most obvious one out of the way first. A group of likeable nothing-specials find themselves in a zombie apocalypse. They must make it to the local pub (for some reason) where they believe they can safely stay holed-up until help arrives. Probably leans more on the comedy side than the horror side, but there are some genuinely good zombie sequences, and some really sad scenes throughout. Cause zombies. So not everyone can make it to the end. It’s clever, it’s funny, it’s Pegg, Frost, and Wright, (and a bit of Stevenson/Hynes for you fans out there). It’s just a generally good time. Two American guys are traveling abroad. They get attacked by a werewolf, one dies (I’m not really giving anything away, it’s right at the start), the other discovers that he’s been, you guessed it, turned into a werewolf. The dead friend (who’s actually really likeable, I swear) keeps haunting him and telling him he has to sever the werewolf bloodline by essentially offing himself, and chaos ensues. This one’s probably more on the horror side, but too much of the film is obviously played for laughs for me to feel like it doesn’t belong on this list. It has, for my money, the best transformation scene in a film (and it’s all practical, no CGI…unfortunately the werewolf itself doesn’t look near as convincing), some really gory sequences, and is laugh out loud funny. The premise seems pretty cliche: a group of teenagers go to a creepy cabin in the middle of nowhere, and start getting picked off, one by one. But there’s clearly something else happening as we repeatedly cut to a group of scientists, and then you begin to realize the stories intersect, and the cliche plot is cliche for a very good reason. And then it’s not so cliche anymore. Wonderful and unexpectedly wacky, this is horror by way of sci-fi. Joss Whedon takes a look at the genre through a meta lens and you will not be expecting the ending. Funny, creepy, clever, and twisted, this movie makes you question everything you think you know about horror movies and will most likely change the way you look at them forever. Again, a group of teenagers go to a creepy old cabin out in the middle of nowhere. A couple of creepy rednecks are repeatedly spotted along the way. Only the creepy rednecks are actually really good-natured rednecks, Tucker and Dale. When the teens keep dying in freak accidents, poor Tucker and Dale keep ending up in the wrong place at the wrong time. If you’re trying to decide on a movie by watching the trailers, don’t. The trailer really makes this movie look dumb. I’m not saying it’s Shakespeare (well, it kind of is actually, though more Stoppard, if you read my earlier Rosencrantz and Guildenstern post), but it’s a tremendous amount of fun. I very much look at this as being the other side of the Cabin in the Woods coin. Where that one’s a little more horror, this one’s a little (or a lot) more comedy. An adorable couple is tragically killed about 5 minutes into this flick and return to their home as ghosts. The new family that moves in are horrible, except the daughter, who the ghost couple want as their own. So the couple summons the demon, Beetlejuice, who, once released, turns out to be much more of a nuisance than they expected or are prepared for. The funniest of the golden age of Burton, this movie feels like a cozy nightmare. Lighthearted and dark at the same time, it’s properly quirky and entertaining. And you never forget that dinner party scene. Plus, Danny Elfman’s score for this one is deliciously madcap and moody. There are ghosts in New York City and a a group of wisecracking paranormal scientists decide to take them out. Unfortunately, they have have to deal with ghost-possession, crooked government officials, and giant city-destroying monsters that, at a more manageable size, would be pretty cute and cuddly. Anyone who’s only leaving room in their life for one of these delightful films is really missing out. Everyone involved is very supportive of the other film, and almost everyone from the original appeared in the remake. They’re two very different takes, on the a simple story, and the newer one manages to be fresh, while still paying homage to the original. 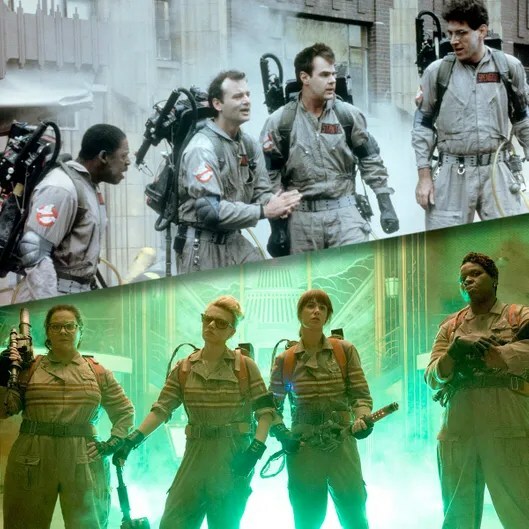 I can’t imagine walking out of either of these movies and not wanting to be a ghostbuster. A teenage boy gets a new neighbor. The teenager discovers the new neighbor is a vampire. The teenager tries to expose the vampire. The vampire seeks revenge by hunting the teenager’s mother and girlfriend. 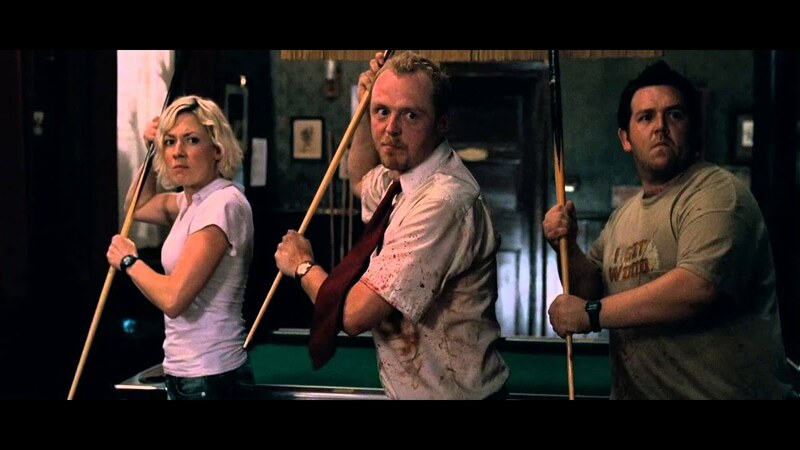 The teenager enlists the help of an alcoholic fake magician, and they go to fight the vampire. I have a confession to make. I’ve somehow never seen the original Fright Night. That alone is probably enough for several people to write-off this entire list. Plus, Anton Yelchin’s semi-recent death in a freak accident will probably make this a little more depressing than it used to be. But really, it’s worth it for that David Tenannt moment in the gif. A descendant of Dr. Frankenstein tries his own hand at making a creature. Unfortunately, Igor brings Frankenstein the wrong brain, so the creature can’t be reasoned with, and runs off with Frankenstein’s fiance. The town officials want the creature destroyed, but Frankenstein attempts to recapture the creature and make a few adjustments. Playing off the Universal film, Young Frankenstein is able to pull off some properly gothic moments through the music, atmosphere and sets (and completely black and white), but the tone of this one is pure comedy. The cast is brilliant all around, and the Puttin’ on the Ritz scene has carved a place for itself in film history (Mel Brooks wanted to cut the scene while they were still in the writing process, but Gene Wilder put his foot down). A documentary film crew follow a group of incompatible vampire flatmates living in modern day New Zealand. As such, the vampires have to deal with problems like chore distribution and making sure their human friend doesn’t get exsanguinated by fellow vampires. Complete and sheer mad fun from beginning to end. Each vampire thinks he’s the ultimate version of a vampire: the torturer, the romantic, the bad boy, and the youth (except for maybe Petyr, who’s just old and senile and actually the ultimate vampire. And definitely my favorite). The mockumentary format suits the premise and the genre perfectly. Imagine if all those conspiracy theories about aliens taking over Earth were real. Because in this film they are. Humans are being brainwashed through secret messages in media and advertising, and aliens can disguise themselves to look like people. Unless you’re wearing special sunglasses, like John Nada, who single-handedly takes on the alien invaders. This entry was posted in film and tagged american werewolf in london, beetlejuice, cabin in the woods, comedy, fight night, films, ghostbusters, halloween, horror, movies, shaun of the dead, they live, tucker and dale vs. evil, what we do in the shadows, young frankenstein. Bookmark the permalink.